Andrew Olson was a very special child. One of the kindest, loving, giving and fun little boys I will ever know. He fought so bravely and valiantly being an inspiration to all those who knew him. 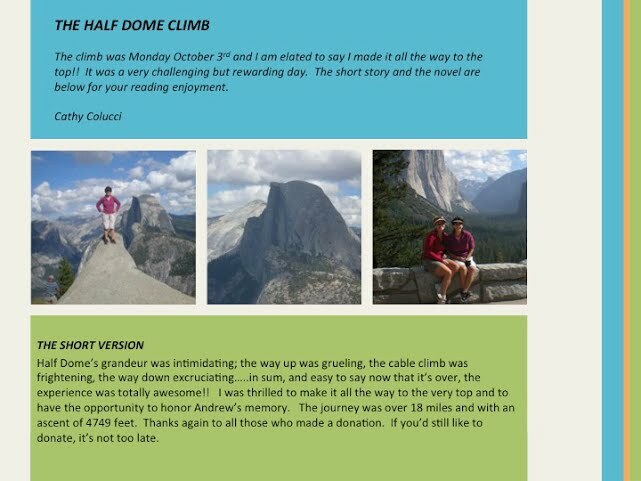 In his honor, on October 3, 2011 I climbed the Half Dome in Yosemite National Park. 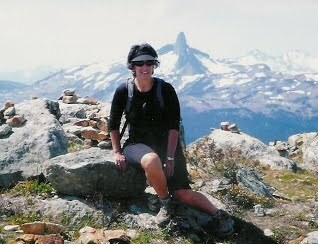 The summit of Half Dome is a very strenuous 18-mile round trip hike. It typically takes 10 to 14 hours to complete. Yosemite Valley, where the hike begins, is at 4000 feet, and the top of Half Dome is at 8800 feet, for a gain of 4800 feet. The final 400 feet of the hike is extremely difficult, requiring you to pull yourself up cables mounted on very steep rock wall. The view from the top of Half Dome is supposedly amazing. 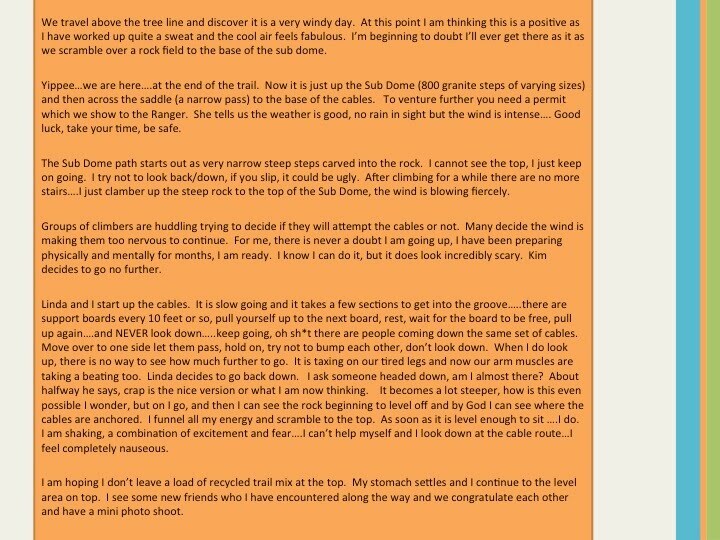 For me this hike is a personal challenge and a way to honor Andrew and his family. As I push myself to the summit I will be remembering Andrew’s strength and love, how hard he fought, and how much he is missed. Drawing from Andrew I found the fortitude to reach the summit. 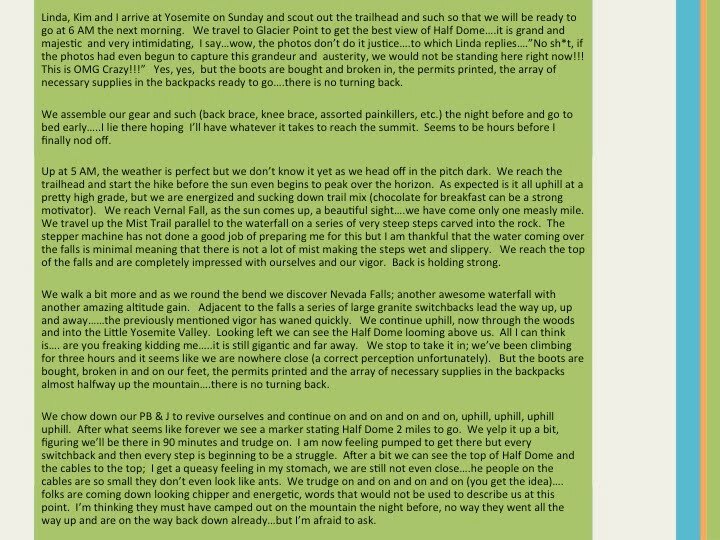 The spiritual nature of Yosemite and the challenge of the hike parallels the experience many families face as they watch their child struggle with cancer. Andrew had the most common form of ALL, Acute Lymphoma Leukemia. With the support of family, friends, and the medical community, families, such as the Olsons, persevere in spite of the difficulties and heartbreak.